It’s been three months to the day since I decided that I needed to be rid of my jelly belly by Christmas. Three months to the day that I set my sights on being nine stone something by the end of the year. I’d reached a point in time whereby I was sick of having to breathe in to do up my size 14 jeans and was in danger of my size 16 tops popping open. 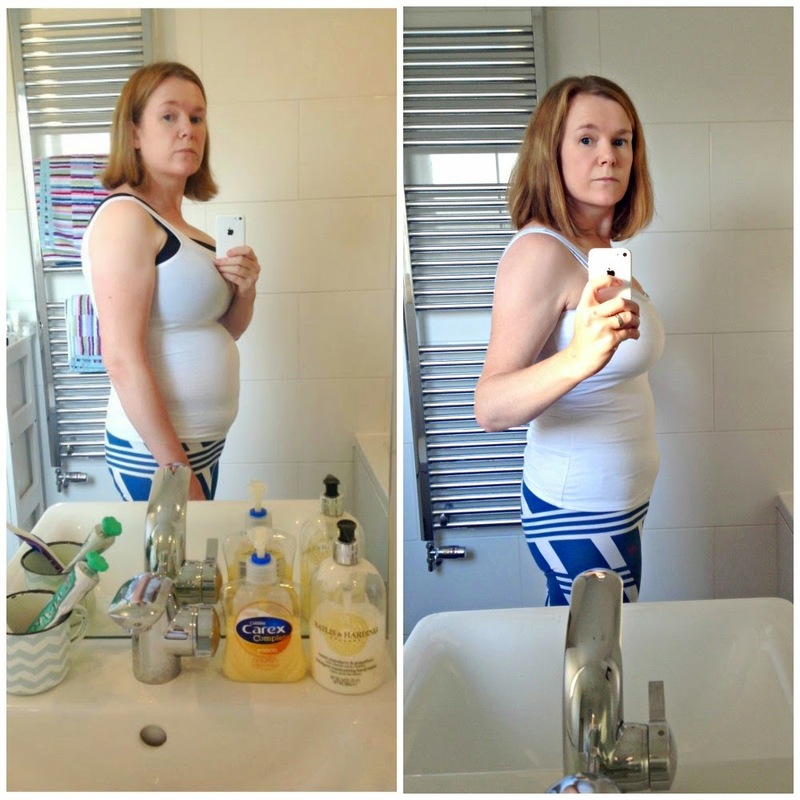 At only 5 foot 4 and weighing 11 stone, I felt somewhat dumpy and very, very round. I’ve been saying for a few years that I wanted to lose a few pounds but due to a horrendously sweet tooth, the scales seemed to be heading the wrong direction. With a nudge from my husband to start running and a recommendation from Natasha to use MyFitnessPal a to record all of my meals/snacks/drinks, I was determined to give it my best shot this time around. Since I posted my last update, I’ve continued to run a couple of times a week. With it now being so dark in the mornings and early evenings, I’m thinking about joining a gym on a month by month basis. I’m still really keen to exercise but not so keen on pounding the pavement by myself with only torch light for company. I’d prefer to be outdoors but a running machine might be a safer option over the winter months. Eating-wise, I’m consuming around 1,300 – 1,400 calories a day with perhaps one day a week where it sneaks up to around 1,700. Oddly enough, on the days where I do eat a higher amount, it feels like I’ve eaten a lot where in truth, this is still a lot less than what I would have eaten before starting this healthier lifestyle regime. I guess my brain has been rewired slightly. For my 1,400 calories, I get to eat three meals a day, a snack, the odd small bar of Kinder chocolate and a couple of cups of tea or coffee. Very rarely do I feel like I’m missing out. I’ve learnt to make better choices about food and opt for what’s good for me and what will fill me up rather than what I fancy. I’m learning to see food as fuel rather than a treat. This has had quite an impact on our shopping bill too. We’re spending an awful lot less now. It’s worth mentioning that while I’m not tea total, it’s highly unusual for me to have more than a couple of alcoholic drinks a month. In fact, in the past three months, I’ve drunk just one beer and half a glass of prosecco. 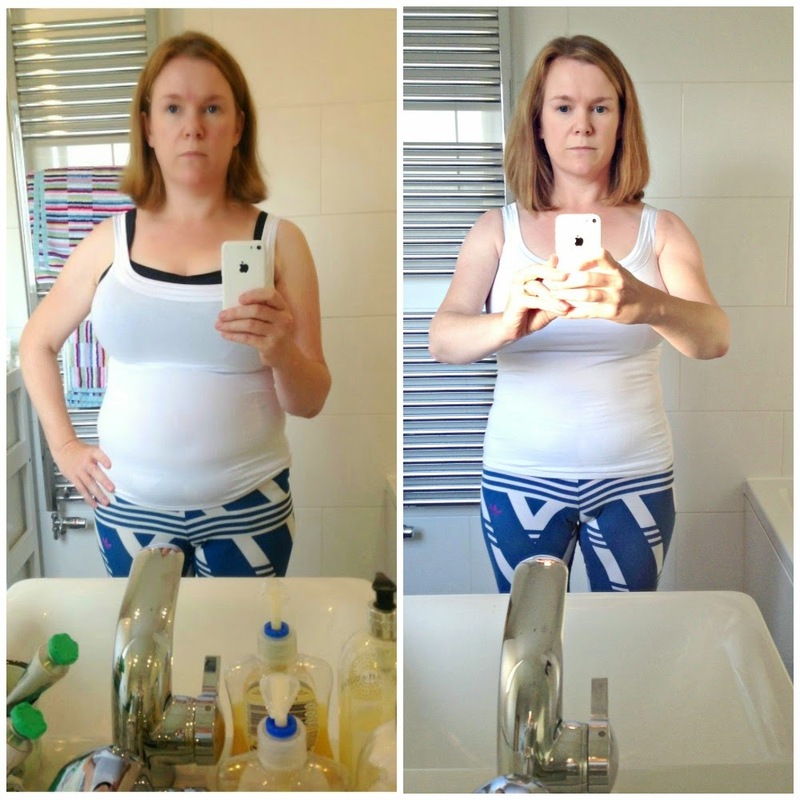 If you want to try a similar lifestyle to mine, I really struggle to see how you can maintain a healthy but low calorie diet that includes a few glasses of wine a week. I’m sure it’s possible because many do it but I can only imagine that it’s quite difficult. Before taking these measurements, I knew I’d lost of a bit of weight but I honestly hadn’t realized how much and exactly where it had come from. I took these after photos at the weekend and had the shock of my life. I keep looking at them because I can’t quite get over the difference (I’m still not great at taking selfies, sorry). I feel healthier and I feel fitter. I was over the moon to weight nine stone something but nine and a half stone is like a dream come true. Now I can look in my wardrobe and say ‘nothing fits’ but for all the right reasons. Today, I bought a pair of size 12 jeans and they fit perfectly. No muffin top to speak of. I could have cried. If you’re sitting at home reading this and really want to get fitter and lose a bit of weight, my only advice would be to start right now. I kept saying ‘after Christmas’, ‘after my birthday’, ‘in time to go on holiday’ but if you start today, you could even make a difference come Christmas. Maybe it would be just a few pounds, maybe it would be being able to run for ten minutes rather than five, but it would be a good difference. It’s so easy to put things off but don’t underestimate how fantastic you’ll feel when you see those scales heading in the right direction and your jeans fastening up without winding yourself. As always, if you have any questions, just pop them in the comments box and I’ll be happy to answer them. Go girl!!! You look amazing. Thank's so much for this blog post. I am positive that this has inspired many to JUST DO IT!!!!!!!!!!!!!!!!!!!! Thank you for the wonderful comments, everyone. Since writing the post, I've actually lost a few more pounds and managed to keep it off despite indulging in a few too many Christmas chocolates. I guess I'd say that rather than being on a diet, it's actually a lifestyle change. I can't imagine returning to my old habits. It feels great to be almost rid of the jelly belly. I'm impressed! I hope my diet...which is similar but with less exercise! Is going to work as well!